← The Oak Tree on Jon Wright’s Radio Suffolk Show! 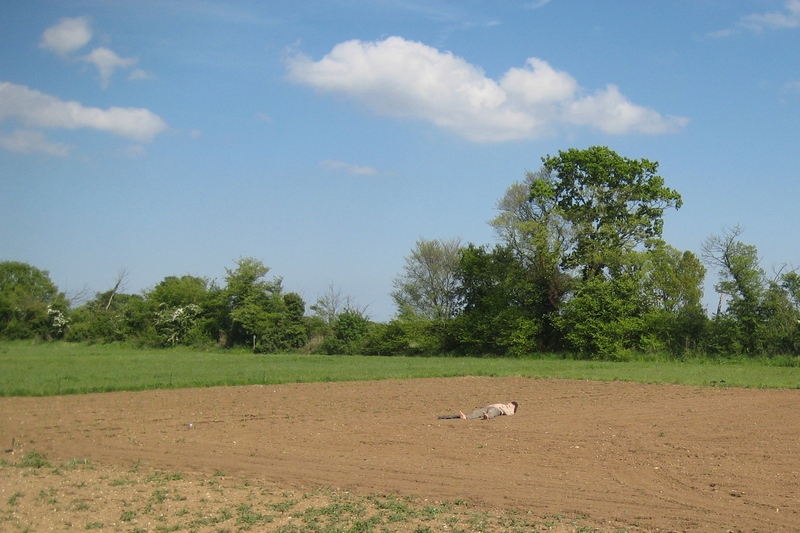 A sweltering volunteer taking a break from planting out sweetcorn by communing with the sky and the soil. Well May has been so busy in terms of growing crops that I’ve hardly had a minute to point a camera at any of the spring wildlife this month. Now that the cold weather is finally over we’ve been manically planting out our summer crops.The typical spring weather has been a joy, both in terms of growing and for the local wildlife. A kestrel (presumably the same individual as last year) has been a regular visitor to the pasture and the occasional sparrowhawk has also passed through. Once being mobbed by swallows while carrying a recently caught fledgling in it’s talons. Anyone good at identifying eggs? 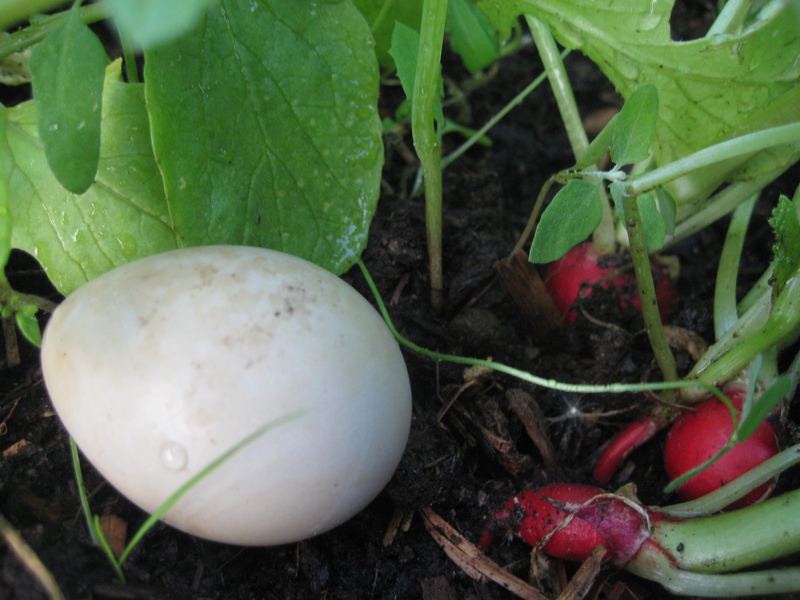 Mysteriously a small blueish egg appeared just inside the door of the middle polytunnel near the start of the month. 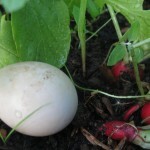 Jamie’s suggested that it might be a smallish pheasant egg. 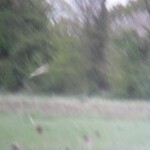 Several have been seen in the field recently. Certainly it had been abandoned. I resisted the urge to incubate it. We’ve got enough on our hands with chicks and goslings! The barn owl has been seen many times but we’re not sure still whether he or she has taken up residence in the box at the top of the field. 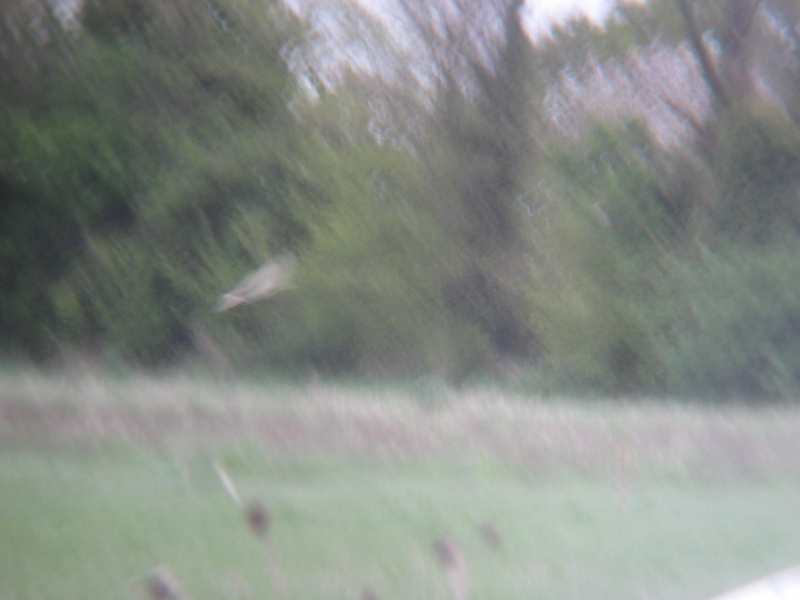 If anyone out there has a camera with a decent zoom my challenge to you is to get a better barn owl picture than I managed with a compact digital through a pair of binoculars. Holly blue butterflies are busy on the ivy along the front hedge, while the large whites and green-veined whites all have burgeoning populations as usual. Watch this space for more butterfly sightings over the summer. More summer migrants have arrived this month including chiff-chaffs and a few swifts and housemartins, although the Oak Tree airspace is largely dominated by the swallows at the moment! A pair of carrion crows has nested towards the far end of the front hedge. I have witnessed their aggressive air defence of their tree from a herring gull trying its luck, the barn owl when it strayed too far down the field and a grey heron that was minding its own business flying east along the adjoining hedge. Finally, the skylarks are nesting in the pasture and singing louder than ever. They really do provide a beautiful soundtrack to summer! The sharp eared amongst you will also be able to pick out a wren in the background.